Peoria--Raymond C. Gessel, 100, of Peoria died January 23, 2019 at Buehler Home in Peoria. Born Feb. 13, 1918, in Toluca to Clinton Gessel and Maude Busroe Gessel he married Phyllis Cowser Feb. 16, 1947 at the Methodist Church in Trivoli. He was preceded in death by one sister, Evelyn French. Surviving are his wife Phyllis of Peoria; one son Gregory (Julie) of Bettendorf, Iowa; a daughter, Deborah Gessel Owen (David) of Peoria and a grandson Grant Gessel of Orlando Florida. After studying Civil Engineering at the University of Illinois, he began active military service as a Second Lieutenant in the 3rd Engineers, 24th Infantry Division at Schofield Barracks, Honolulu. He witnessed firsthand the Japanese attack on Dec 7, 1941. Subsequently, he participated in the American Pacific Campaign until its conclusion in 1945 while in the Philippines. After 1948, he transferred to the Active Army Reserves where he served until retiring as a Colonel in 1978. Upon leaving the active Army, Ray began work as a field engineer with the R G Letourneau Company in Peoria. He developed computer programs to simulate earthmoving equipment operations that were used to design jobsite equipment activities. Ray retired from WABCO as Chief Field Engineer after 33 years of service in 1981. While employed he traveled extensively with numerous international trips including a trip to China in 1978. There were trips to Eastern Europe during the era of communism, and trips to India and Pakistan. He was an early member of the United Airlines one hundred thousand mile club. After retirement, Ray devoted himself to volunteer activities. A supporter of Scouting for nearly 70 years he served in a number of positions at Troop, District and Council level. As just one example of his steadfast service, Ray taught archery to District Day Camp kids for 18 years. As an active member of Forrest Hill United Methodist Church Ray did a variety of activities from teaching Sunday school to being a Lay Delegate to Annual Conference. His service also included Friendship House Board, and Peoria Kiwanis. 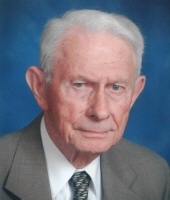 A Mason for more than 70 years he was a member of 360 AF & AM, Peoria Consistory, Shrine, and Shrine Legion of Honor. While notable for his self-effacing manner, Ray was the recipient of numerous awards for his service. Some of these awards are: Silver Beaver, Bronze Big Horn, J. C. Penny Golden Rule Award, Glenna Hall Memorial Award, and UMM John Wesley Award. Services will be held 1 PM, Saturday February 2, 2019 at Forrest Hill United Methodist Church in Peoria where visitation will be one hour before the service. The Reverend Cecilia Granadosin officiating. Visitation will also be at The Wilton Mortuary, Peoria on Friday February 1 from 5 to 7 PM followed by Masonic Services at 7 PM conducted by Princeville Lodge 360 AF & AM. Burial will be in Maple Ridge Cemetery in Mapleton with military rites conducted by the U.S. Army and American Legion Peoria Post 2. Memorials may be made to Forrest Hill United Methodist Church or the W D Boyce Council BSA Scout Reach Program. Masonic Services at 7 PM. Military Rites conducted by the US Army and American Legion Peoria Post 2. "Email Address" would like to share the life celebration of Raymond C. "Ray" Gessel. Click on the "link" to go to share a favorite memory or leave a condolence message for the family.